The Singapore Airshow is gonna be held next month. Ever since the massive flooding of humans into this tiny island making it crowded, i've stopped going to it. 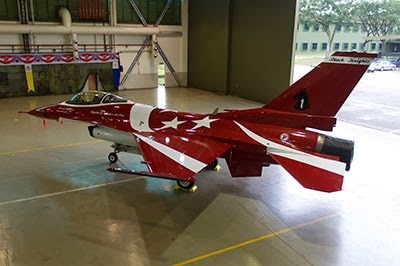 I was aghast upon knowing that the paint scheme of the national aerobatic team has changed. Previously it was like this - just white & red. I like this simpler color pattern. Now they repaint it to resemble the national flag. 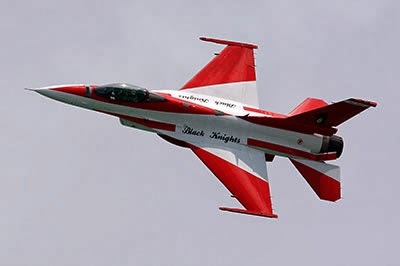 South Korea's Black Eagles. Do they paint like their flag pattern so koreans feel proud? Ditto for Blue Angels(USA) & Red Arrows(UK). Even with the plain white & red color paint pattern retained, i doubt many sinkies would feel proud anyway. Sinkies already know that this hybrid regime is greedy for $$$ with the latest example being public transport fare hikes despite more & more breakdowns(latest being yesterday a major one) & subsidies to these state majority owned companies. I don't use SAFRA facilities. Nevertheless the selling out irks me. Disadvantaging citizen soldiers with the flooding of cheaper foreigners into the job market-wage suppresion & losing jobs. Now a couple of buckets of paint to fool gullible sinkies into feeling proud? Other countries don't disadvantage their citizen soldiers, hence there's no need to resort to national flag color pattern to fool their citizens. The huge military budget is unnecessary with the low morale issue plaguing the citizen armed forces. The threat is internal as evidenced by the foreign worker strikes & riot over the past 2 years. The obscene military budget is used by the hybrid regime to channel taxpayers $$$ into its coffers since the local defense companies are state majority owned. Moreover a few industries such as IT, healthcare have been taken over by foreigners, they can easily wreck havoc. Internal systems have already been compromised. 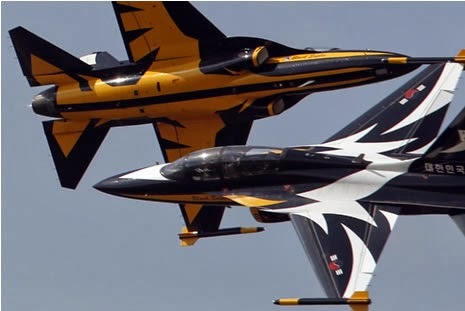 Look at South Korea's Black Eagles aerobatic display & military parade. You'll likely feel the pride of a korean & shame of being a sinkie.